Does the idea of buying a pre-owned vehicle sound good to you? After all, you don’t end up with that instant depreciation that you do when you buy a new car. And, with so many Americans leasing vehicles, there are more quality pre-owned vehicles on the market than ever. But how can you be sure you’re buying a great pre-owned vehicle? Actually, there are several ways you can be sure. Buy from a reputable dealer, instead of an individual. Let’s face it. With social media sites like Yelp out there, if a business isn’t reputable, it’s easy to find out about it. Look for a dealer who has been in business for a long time. Common sense tells you, a business can’t be around for long, if they don’t treat customers right. Make sure you get a warranty–and one that lasts longer than a week. At New Jersey State Auto, we provide a three month/5,000 mile warranty with every vehicle–plus you get Roadside Assistance, too. Check out the CarFax report. This report will tell you how many owners the vehicle has had, and if there is clear title. In addition, you’ll know what kinds of accident the vehicle has been involved in, and you can see if the appropriate repairs have been performed. Plus, all vehicles checked with carFax have the CarFax BuyBack Guarantee at New Jersey State Auto. Pay for a Mechanic Inspection before you buy. While it will cost you a little money, it will provide you with great peace of mind. With a mechanic inspection, you’ll learn if the right kinds of replacement parts have been used, and if major repairs will be needed in the near future. Look beyond the exterior. Sure, it might look like new on the outside, but look under the hood, too. If you see rust, it probably hasn’t been maintained well. At New Jersey State Auto, we’re here to help you find the right vehicle at the right price. We’ll answer all of your questions, so you feel confident with your purchase. If you’re in the market to purchase a pre-owned vehicle, visit New Jersey State Auto Auction. The 2017 Audi A3 received a five-star safety rating from the National Highway Traffic Safety Administration. The 2017 Audi S3 also received top marks from the organization. Both vehicles will be on the market beginning October 2017. This spectacular safety rating applies to each edition of the vehicles, both front-wheel-drive and all-wheel-drive. Both high scores in the extensive testing performed. These tests include a front crash test, side crash test and a rollover crash test. These assessments allow the National Highway Traffic Safety Administration to properly administer the most accurate score possible. The 2017 Audi A3 and the 2017 S3 have been updated with several safety features that come standard in each model. One of the features included is a radar-based system that warns drivers of potential forward collisions. This system also is equipped with automatic braking. The 2017 Audi A3 also has standard antilock brakes, a rearview camera, traction control and stability control. There is also a new feature called Audi Pre Sense Basic. This feature automatically tightens seatbelts and closes windows if it senses a potential frontal crash. Another option available on specific models is active lane keeping assist. This system alerts drivers if they begin to stray from their lane if they are traveling over 40 mph. Numerous other safety options are available on the Audi A3. 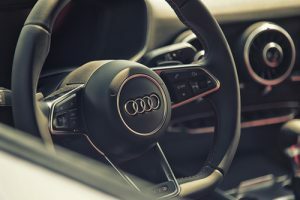 As Audi continues to increase the safety with the addition of new technology to their new vehicles, you can expect the same level of safety and quality engineering from a pre-owned Audi. To view a wide selection of pre-owned models, visit New Jersey State Auto Auction. Let’s face it – cars aren’t cheap. When you buy a new car you have to buy all the fancy interior accessories to vamp it up, get insurance for your car, etc. and all these expenses are apart from the main cost of the car. So if you already have a car that hasn’t done too many miles and is still in good working condition there are several ways to make your old and run down car look brand new with a few tips and tricks. Get everything cleaned – inside and out! For some of us, our car becomes our second home and we tend to hoard just about anything and everything in it. From books to clothes to important papers from the office, our car becomes a dumping ground for all our junk. Set aside an entire day or week if you have to and remove everything from your car that has no business being there. Take your car to the professional cleaners or a good car wash and have it scrubbed down thoroughly. Or you could buy the necessary cleaning agents and detergents and clean your car yourself and save money. Shampoo the seats and carpet thoroughly, clean out the trunk and remove the spare tire to get in there as much as possible to get all the dirt and crap out. Remove the seat cushions and get inside every nook and cranny of your car upholstery. You can even remove the front seats and use a vacuum cleaner. Clean the engine thoroughly and don’t forget the underneath of your car. If you’re cleaning your car after a really long time, then make sure to give it a 100 percent. To buy a used car, walk in to New Jersey State Auto Auction today. Instead of going out and buying a new car try out some easy tips and tricks to transform your old car and make it look brand new by spending just a little money. The seal of your car doors against the rubber trim is sensitive to rips and tears as time goes by. These rips or tears can cause air gaps that will create a howling noise from the wind outside while driving. These tears can also allow heat to escape when it’s cool outside and vice versa, i.e. – allow cool air to escape when it’s hot outside. These gaps or tears can also allow water to leak in from outside when it’s raining. It will take a lot of time, patience and expertise to replace these rubber trims or strips of the car doors as well as a knack with glues and adhesives. The rubber strips are not expensive and are easily available in any car store. You can get help installing the new rubber strips which will instantly make your car much quieter and noise free. However, you don’t have to necessarily replace the rubber seals of the car doors if they are still in usable and decent shape. But if they seem ragged or brittle to you then don’t think twice to replace them with new ones. If you’re changing your car door rubber seals then you might also want to change the rubber wiper blades on your windshield and deal with the rainy season appropriately. If you are looking to buy a used car, walk in to New Jersey State Auto Auction today. Going out and buying a brand new car might not be the best idea especially when you have other loans to pay off and income is tight. Also, there are lots of ways to make your old car look new without spending a huge amount of money. All you need to have is a car in good working condition that just needs a little makeover and touching up. Cars that are a few decades old are built with headlamps that have plastic composites that tend to become dull and deteriorated over time and may need to be replaced. 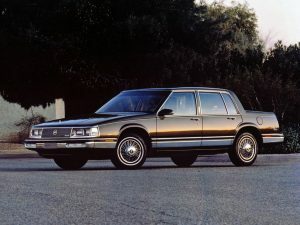 The headlamps might develop a weathered look which will automatically make your car look years older than it actually is. There are headlamps available for 25 to 30 dollars that are really easy to install and use. Replacing an old and dull headlamp with a new one can make your car look newer and brighter and can help improve illumination. Just like your air conditioner at home, the AC in your car can have buildups of mildew, mold, and bacteria that can clog the AC vents and decrease the output of cold air. To clean out your AC first make sure that the air entering your AC isn’t passing through dust, leaves and other grime that might be accumulated in the AC passageways. After this, you can clean your AC filters or change the filter systems. Finish off with some air-conditioning spray or deodorizer and your car will look and smell as good as new! To buy a used car, get in touch with New Jersey State Auto Auction. The hydrostatic CVT is quite different from other CVTs, in that, it is not a frictional CVT system. Here, variable-displacement pumps are used to control the fluid flow to hydrostatic motors. In this system, a hydrostatic pump on the driving side is operated by the engine’s rotational motion. The rotational motion is then turned into fluid flow by the pump. On the driven side, we have a hydrostatic motor that creates rotational motion by converting the fluid flow. Hydrostatic transmissions, often, come with a set of planetary gears and clutches. This results in a hybrid system referred to as a hydro-mechanical transmission. Such transmission systems allow power transfer from wheel to engine in 3 modes. First, there is the hydraulic transmission of power, which occurs at low speeds, then, we have the mechanical transmission of power, which occurs at high speeds,. In between high and low speeds, the system uses both, mechanical and hydraulic power transmission methods. Hydro-mechanical transmission systems are used in heavy duty vehicles such as all-terrain vehicles and farm tractors. On the whole, we have seen the various advantages of a CVT system over other transmission systems. They are more fuel efficient because of how they maintain optimum power range. 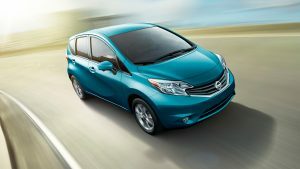 They offer step-less acceleration, which eliminates the shift shock experienced in other transmission systems. Get in touch with New Jersey State Auto Auction to get a quote on a pre-owned CVT vehicle. For starters, we have what is known as the Toroidal CVT system. This particular system uses power rollers instead of belts and discs. Though the parts seem very different, they are basically different versions of what you find in the belt and pulley system. In the end what you get is still a Continuously Variable Transmission. One disc is connected to the engine, just like a driving pulley. The second disc is connected to the drive shaft, just like the driven pulley. Rollers, positioned between the discs, function like belts. They are responsible for transmitting power. The wheels in this system rotate along their axes. They rotate around a horizontal axis and tilt (in/out) around a vertical axis. This allows the wheels to come in contact with the discs. When the wheels come in contact with the center of the driving disc, they should contact the rim of the driven disc. This cause speed to reduce and torque to increase. In the opposite scenario, the speed increases and the torque goes down. So, with the wheels simply tilting, we have incremental changes in gear ratio. This ultimately results in instant changes of the gear ratio. A CVT transmission is a dream to drive; even if it’s in a used car. So, why don’t you get in touch with New Jersey State Auto Auction and find yourself a nice, pre-owned CVT vehicle? It is necessary for variable diameter pulleys to be in pairs. The drive pulley is the one connected to the engine’s crankshaft. This pulley is also known as the input pulley. It is called so because of how it transmits energy from the vehicle’s engine into the transmission. The other pulley is referred to as the driven pulley because it is controlled by the drive/driving pulley. The driven pulley is an output pulley and its job is to send energy towards the driveshaft. When the pulleys are far from each other, the belt rides at a lower level, thereby decreasing the pitch radius. The exact opposite occurs when the pulleys come close. The ratio between the driven pulley’s pitch radius and the driving pulley’s pitch radius is what determines gear engagement. In order to keep the belt tensed, one pulley boosts its radius, while the other reduces it. When the pulleys keep alternating ratios, we get various gear ratios. In fact, there are an endless number of gear ratios created. So, a CVT is capable of producing all kinds of gears. The simplicity of CVTs is what makes them a great transmission option and with new materials, CVTs are constantly improving in efficiency and reliability. Looking for a pre-owned car with a CVT transmission? Well, come on down to New Jersey State Auto Auction to take a look. Consider these tips before you start packing. The time has come. Summer is almost over, and fall semester is right around the corner. You've been holding it down in your childhood bedroom for months, but soon you'll be heading back to your dorm room until Christmas break. Unfortunately, that means figuring out how you can consolidate a room's worth of clothing, accessories and furniture to fit into your tiny compact car. Once the technician has performed those tasks, you should be good to go for your trip. Just remember to schedule another appointment in three months for another tuneup. Sure, large transparent bins might be handy and efficient for the unpacking process, but are they the best choice for the allotted space? Those containers are going to take up a lot of room in your car, which means they'll probably add clutter to your dorm too. Instead of creating unnecessary chaos, choose the space-saving storage option. All You magazine suggested packing your items in medium-sized containers they can stay in, such as plastic carts and storage drawers. Otherwise, use small boxes or bags that don't take up too much of the cabin. Once you've determined what you'll use for storage, think long and hard about what you're going to take. Packing light is your best option, as it'll allow more space in the car during the move. Besides, you're heading to a new room, and you shouldn't be trying to mirror your old one. Professional organizer Andrew Mellen told All You that you should be willing to make some changes in college, and bringing everything you own can keep you from accomplishing that. "Be available for the adventure of college, rather than try to recreate a childhood bedroom experience in your new life," he said. Only bring items you couldn't imagine living without. Those old high school yearbooks and stuffed animals from the fifth grade? They can stay at home. If your mother is an extreme couponer and loves to shop in bulk, there's a chance she's going to want to give you enough toiletries to last the entire semester. While that's extremely generous of her, those items are only going to take up space in your car that you could use for something else. You can thankfully decline to save some space, or simply ask her to take you for a shopping trip after you've unpacked the car at school. Then, you'll have tons of space to transfer those bulk items back to your dorm. To save some space in the car, only invite one person to help you unpack. If you want to make the most of the room in your car, minimize the amount of people you invite for the trip. Consider leaving the front seat open for one passenger, but dedicate the rest of your cabin to your belongings. If more people want to assist with the move-in process, simple ask them to bring a second car. Maybe they'll even offer up the extra space in their trunk for those items you just couldn't part with. Need a new ride for college? Head to NJ Auto Auction, where you'll find a lot full of quality, Carfax-certified vehicles to choose from. Or, if your car just needs a good tuneup, head to the shop and let the technicians get it ready for the road. Posted in Auto Industry News, General Auto News | Comments Off on Consider these tips before you start packing. Nothing puts a damper on your day quite like your car breaking down while you're stuck in traffic. It's not only an inconvenient situation. It can also be extremely intimidating if it's never happened to you before. Whatever you do, stay calm. Panicking in the middle of the road will only make matters more stressful. Before winter's arrival, add a warm blanket, hat, scarf and pair of gloves to the kit. Once you've realized there's something wrong with your car, turn on your hazards. This notifies the other drivers that something is wrong, and that they need to continue driving around you. After turning on your hazards, The Travelers Indemnity Company said you need to move your car over to a safe spot, whether it's on the side of the highway or a side street. 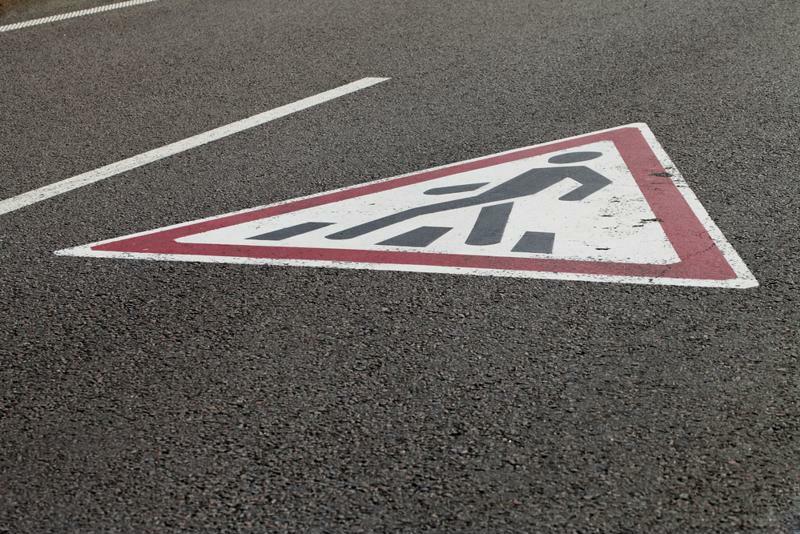 This can keep the traffic flowing and prevent an accident from occurring. 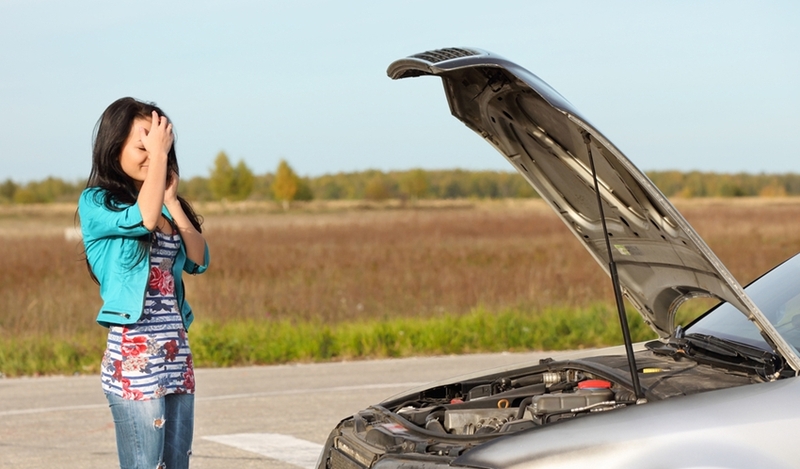 If your vehicle won't start back up at all, just remain inside and call for immediate assistance. Move your car to a safe spot on the highway. If you've moved to a safe place and have the ability to leave the car, Esurance suggested setting up your flares and triangles right away if you have them. Both flares should be behind your vehicle – about 10 feet from each other – and the triangle should be closer to you and your vehicle. This helps passers-by see you despite darkness, rain or fog. It also gives the emergency assistance an easy ticket to find your location. If you don't have the triangles or flares, simply pop your hood. It's the universal sign of a breakdown. It's a nice gesture when strangers pull over to help you out, but you want to be careful. Consumer Reports suggested exercising caution when someone unfamiliar approaches. If a suspicious person stops to help, let the stranger know you're OK and that a tow truck is on the way. Moving away from your vehicle during a breakdown is never a good idea. Walking around aimlessly on the highway is unsafe. And if you've left your vehicle on the side street to go grab a burger while you wait, you could miss the tow truck. Staying with your car is a safe and practical move during this emergency situation. Make sure you don't leave you car while it's broken down. If the reason you're broken down is because your fender or another car part fell off, make sure to pick it up before you leave. It's not only wasteful to leave such things behind, but it's also not good for the environment. Do your part and clean up the mess you've made before you flee the scene – just be sure to wait for traffic to die down if it's out in the middle of the road. 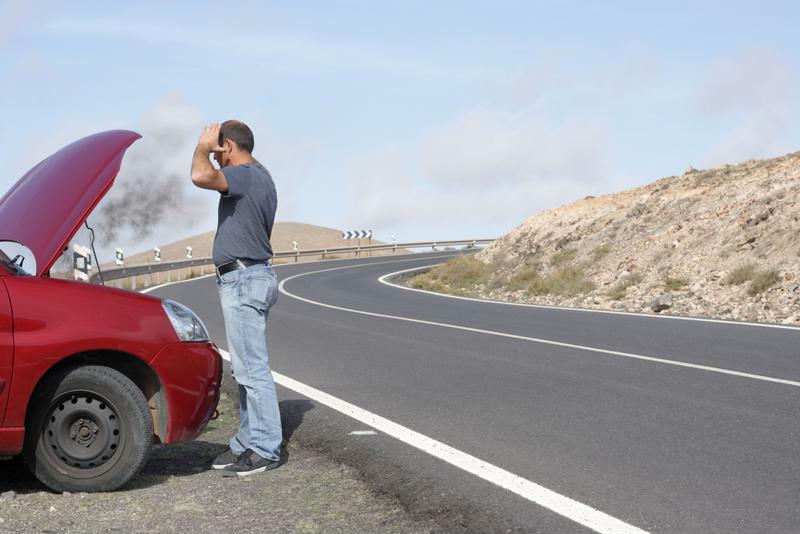 You can't predict when you'll break down, but you can do your best to make sure your car is always in its best shape. For routine maintenance services, head to New Jersey Auto Auction. Our technicians can fix up your ride and ensure you'll be safe on the road. If they do find that your car is no longer suitable for the road, just check out our lot! We have hundreds of quality Carfax-certified vehicles that sell for a great price – perfect for an emergency situation. Owning a car makes life more convenient, but it comes with a price. Between paying for gas and insurance, as well as making sure your vehicle is always up to date with maintenance services, you have to hand over a pretty penny. But while being a car owner can be expensive, there are loopholes you can take to save some money. If the car you're driving is a gas hog or requires service more often than you can afford, it's time to trade it in. Search for an inexpensive vehicle with little to no damage and is great on gas. Making an entirely new investment might seem like a huge expense at first, but it'll save you more money in the long run. When you decide to buy a new car, don't let the dealer talk you into getting fancy accessories. Those extra add-ons are only going to add to the monthly bill. If you're looking to save a lot of money, just find yourself a vehicle that's going to get you from point A to point B safely. After all, do you really need the sound system and heated seats? 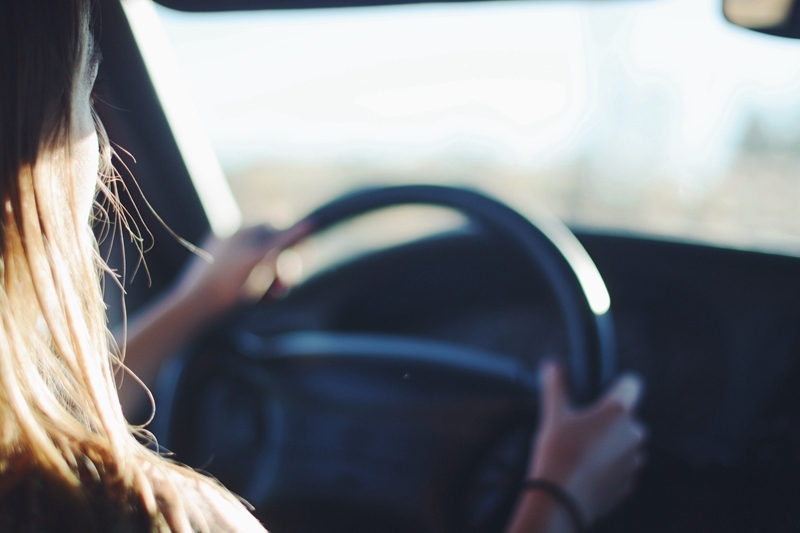 If you need to save money, your car doesn't need to have all the bells and whistles. If your car insurance seems to be burning a hole in your pocket, it's time to search for a more affordable plan. Switching insurance can save you money, just take some advice from Defensive Driving.com and don't immediately take the first quote you get. Instead, shop around until you find the best deal that caters to your budget. Some companies will even set you up on a plan that lets you pay biannually instead of monthly, which can also save you a lot of cash in the long run. Showing your car some TLC throughout the year might seem like an unnecessary added expense to you, but it'll actually save you money, according to what Leona Dalavai Scott, editor of AutoInc. told Bankrate. "If you maintain your car, you're avoiding expensive repairs down the road," she said. "Showing your car some TLC will save you money." Think of the mechanic as your car's doctor. 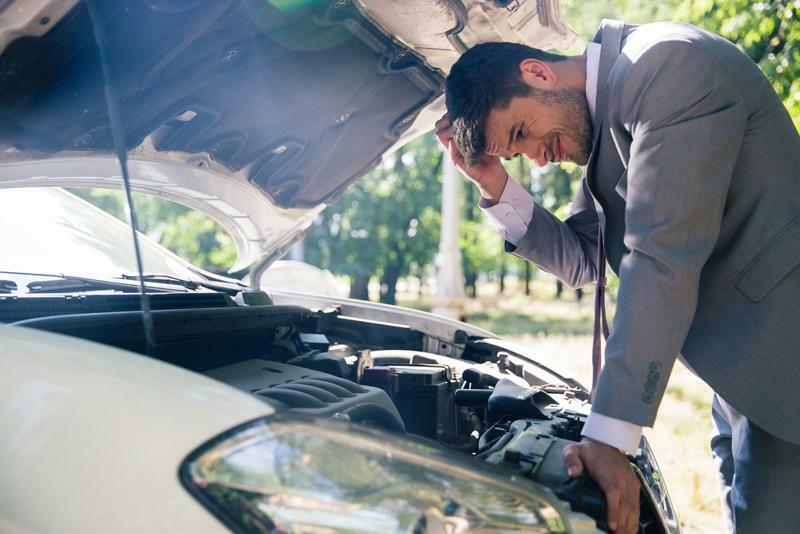 By taking your ride in for routine services with him, he'll make sure everything is running smoothly to avoid a potential breakdown – something that could cost a huge chunk of money in repairs. That means changing the tires, oil and filters whenever necessary. Maintaining your car is key, but that doesn't necessarily mean you have to take it to the mechanic. If possible, learn how to do these services on your own. A good portion of the price you pay at the auto shop goes to labor fees, and you can avoid these expenses by taking care of things on your own. Changing your tires and oil are easier tasks than you think, just take a look at these guides. Taking your car to the automatic carwash might be convenient, but it's not the least expensive option. Simply take care of the task on your own! Invest in a bucket, some sponges, car washing liquid and wax that'll last you the entire summer. Buying these tools to wash your car at home is just another investment that'll save you money down the road. Don't just buy gas at the station that's right up the road. Drive around and search for the lowest priced fuel. Make matters easier on yourself and download an app that does the job for you, such as GasBuddy. Simply pull it up, set your location and it'll find the best gas prices near you. Owning a car might make getting around more convenient, but it's not an excuse to be lazy. If you can avoid driving somewhere to save gas, just walk. It's not only a money saving option – it's good for the environment and it's great exercise. If your destination is in walking distance, leave your car at home. When you speed, accelerate senselessly and brake hard, you're wasting gas – which also means you're blowing money. In fact, research by the Oak Ridge National Laboratory found that aggressive driving can lower highway gas mileage by 33 percent. Drive cautiously and be mindful about your gas and you'll likely see a difference in your gas mileage. When you choose to carpool with friends or family members, you're saving money in so many ways, according to what Christine Maley-Grubl, project manager at the Metropolitan Transportation Commission in San Francisco told Bankrate. "When you're carpooling, you're saving money on gas, on tolls and on maintenance," she said. "You can use the high-occupancy vehicle lanes, so you get to work faster." Talk to your colleagues and see if they'd consider carpooling – it could save all of you time and money! If you've decided to shop for a new car but aren't sure where to get started, stop by New Jersey Auto Auction. Our salesman will introduce you to a lot full of inexpensive Carfax-certified vehicles to choose from. Summer's almost over and your car made it through the extreme temperatures. While it's going to get a break from the heat, that doesn't mean you shouldn't keep taking care of maintenance, especially before fall's arrival. After all, the cooler temperature and inclement weather will be on its way before you know it. As the temperatures get colder, you'll want to make sure your brakes are working well to prepare for slick roads. To ensure your safety, the Car Connection suggested taking your car in to get your brakes checked. Most auto shops will inspect them for no charge, so the precautionary step is worth it. Much like your brakes, your tires need to be ready for inclement weather. That means frequently checking on the air pressure either manually or by paying attention if your vehicle has a dashboard alert for tire pressure. According to the Car Care Council, air pressure in a tire decreases one to two pounds for every 10-degree change in temperature. Look at your owner's manual for suggested pressure levels. When monitoring the pressure of your tires, be sure to check out your spare. Typically, the inflation pressure for it will be listed on its side, according to Bankrate. If you can't find it, check the owner's manual or seek advice from a mechanic. 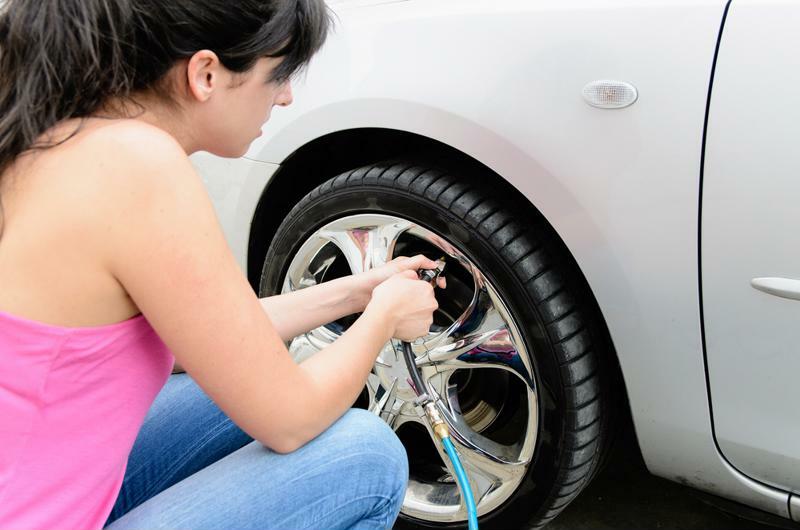 Check your tire pressure this summer to prepare for fall. Keeping your windshield washer fluid topped off is an important safety precaution, especially when preparing for inclement weather. But don't just refill it with the same solution you've been using all summer, according to what Tony Molla, spokesman for the National Institute for Automotive Service Excellence told Bankrate. "Topping off your windshield-washer fluid is an important safety precaution." "In fall, windshield-washer fluid needs to be replaced with a solvent that is suited for use in cold weather," he said. This special fluid only costs about $2 to $4 per gallon, so it won't set you back much. Fall is the best time to replace your wiper blades. Molla told Bankrate he suggests taking care of this maintenance service before winter for many reasons. "You generally use your wipers more frequently in the fall and winter," he said. "They'll also be taking a lot more abuse from road grime and windshield-washer solvent, so it's best to have a fresh set." Replacing the blades is a simple service and will only cost you about $10 to $20. The days are going to get shorter, which means you'll be driving in the dark more often in the fall than you were in the summer. To prepare, make sure all of your lights are working properly. That includes headlights, taillights, parking lights, brake lights and emergency flashers. If you neglect to make sure your heater is working before fall, you might find yourself shivering in your seat on a cold day. To keep this from occurring, just monitor it frequently or take it to the shop for a thorough inspection. The older your battery is, the less likely it will hold a charge if it dies. Nobody wants to sit on the side of the road on a cold fall day waiting for a tow truck. Take your car in to the mechanic and ask for a battery inspection. If the technician finds corrosion on the terminals or a loose connection in the cables, it's likely time for a replacement. 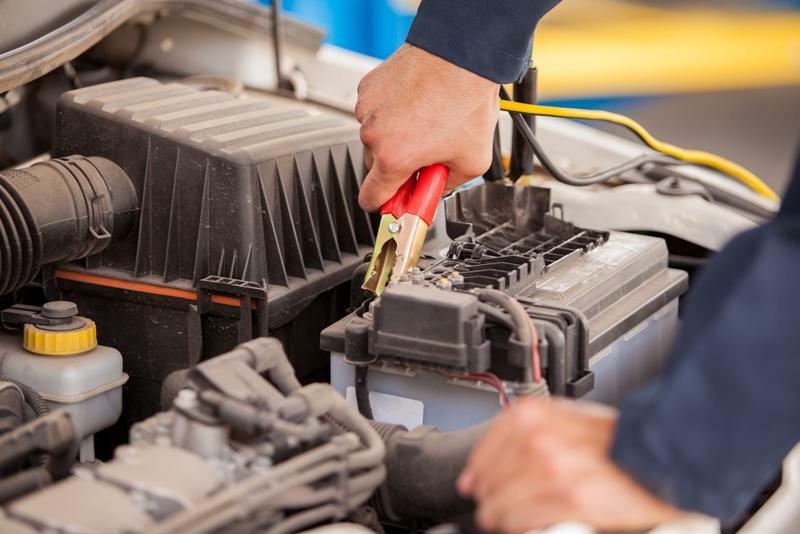 Take your car to the auto shop to see if the battery needs to be replaced before fall. Bankrate reported to replace your engine air filters twice per year, so take care of it this fall if you haven't since the beginning of the year. A dirty filter restricts airflow and fuel economy, which can ultimately worsen your car's overall performance. This is a simple task that will take a maintenance worker a few minutes to take care of, just call in to schedule an appointment. This is something you should keep up with year-round, but if your car is due for an oil change, take it to the shop before fall's arrival. Dirty oil can hurt the engine and lead to permanent damage if it's not changed. 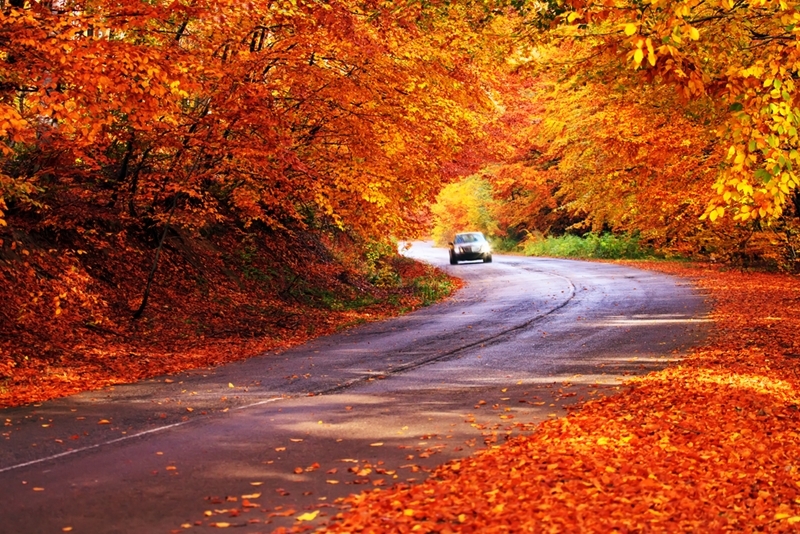 Preparing your car for fall doesn't have to be a hassle. Just bring it in to New Jersey Auto Auction and let our mechanics take care of all of your maintenance needs. Sequential gear transmission is a type of manual transmission that allows the rider to select gears in a sequence or order. Unlike traditional manual gear transmission, the rider cannot skip gears. This technique of switching gears is particular to this type of gear transmission which requires a selector shaft to shift gears up or down. Sequential transmission has become popular in motorcycles and high-performance cars that are used in motorsports because it makes it much faster to shift gears. In motorcycles, the rider is given complete control of the gear shift, which makes it easier for him to focus on the brakes and clutch on the handlebar. Shifting gears with a sequential gearbox is also much easier since the gear changing happens in a sequence. This way, the rider need not pay too much attention to gear shifting and can instead focus more on controlling the vehicle. Another advantage is that the sequential transmission is also consistent. All the rider has to do is push the level forward to change gears. The hand location is also consistent. With the traditional H-pattern transmission, the shift lever location changes. So, the rider has to pay attention as to where he has put his hand based on what gear the vehicle is in. Another major advantage is that this form of transmission is safer. In case you mis-shift gears in an H-pattern transmission during a race, you could damage the engine and cause an accident. With sequential transmission, you have no chances of mis-shifting gears. Explore the advantages of a sequential gearbox by visiting the New Jersey State Auto Auction dealership today. A sequential gearbox is a form of manual transmission which is used in high-performance cars and motorcycles that are used for motor racing. It is a non-traditional type of transmission where the gears are arranged in order or in a sequence which makes it impossible for the rider to directly access specific gears. 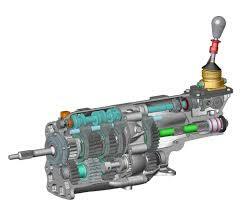 This type of transmission is also known as sequential manual transmission or sequential manual gearbox. When a rider uses the traditional form of manual transmission, they can change from one gear to another using the gear shifter. Before shifting to a new gear, the rider must disengage the clutch which disengages the running engine from transmission which stops the transmission of torque. This kind of gear transmission is normally called an H-pattern. Sequential transmission was introduced as the traditional method requires the rider to be extra attentive and dexterous, especially while turning sharp corners during races. This form of transmission gives the rider complete control of the gear shifter, allowing him to focus on the clutch and brakes on the handlebar. Another advantage of the sequential transmission is that it is much faster. For example, if you wanted to shift from the second to third gear on the traditional H-pattern, the rider has to push the shifter up, over, and then up again. This consumes time. With a sequential gearbox, all the rider has to do is push the lever up for every change and down if he wants to shift to a lower gear. Learn more about the advantages of the sequential transmission by visiting the New Jersey State Auto Auction dealership. Sequential gear transmission is a type of manual transmission that allows the rider to select gears in an order or sequence. Unlike traditional manual gear transmission, it does not allow the rider to skip gears. This technique of switching gears is particular to this type of gear transmission which requires a selector shaft to shift gears up or down. Sequential transmission has become popular in motorcycles and high-performance cars that are used in motorsports. Sequential manual transmission is advantageous because it enables the rider to select the gear directly before or after the gear that is currently engaged. In traditional transmission or H-pattern transmission, the ride has to pull back the shift lever to change to a higher gear or push it forward to move to a lower gear. In true sequential transmission, a ratchet mechanism is used to convert the shift lever’s before and after motion into a rotary motion. This motion turns a selector shaft that has three or four grooves etched around its circumference. The selector forks run through these grooves and they select the next required gear. The selector forks can function directly or using selector rods or pins. These sequential gearboxes are used in most modern motorcycles because it is too inconvenient to use the conventional H-pattern shifter, which also requires a lot more space within the motorcycle’s frame. It also gives the rider complete control over the gear shifter. Learn about all the components of a sequential gearbox by heading down to the New Jersey State Auto Auction dealership. With all these fancy cars zooming around, you can’t help but feel like you should own one of your own. The feeling of being seating behind a steering wheel and being in control of your transportation instead of relying on the bus or subway can be very liberating. However, you have financial commitments like a mortgage or pending loans that need your attention right now. But don’t let this deter you. 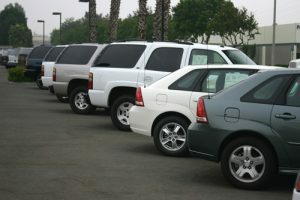 This year, the used car market has seen a large inflow of pre-owned cars. A lot of cars that were purchased in 2013 and 2014 with two- or three-year leases are being sold. So, most of these used cars entering the market are at the end of their lease terms, making it much easier for you to buy them. Since their leases are running up, the price tags on these cars are also reduced, putting even swanky sedans right in your budget. Another reason 2016 has a high inflow of pre-owned vehicles is because car makers have been releasing newer models with upgraded features. Car makers like Volkswagen, Honda, Kia, Chevrolet, etc. have been pushing out all-new models with state-of-the-art features. 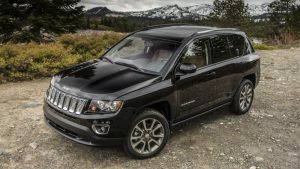 Other car brands like Nissan, Mazda, Jeep, and Ford have released new models of crossovers with great features and that are not too heavy on the pocket. 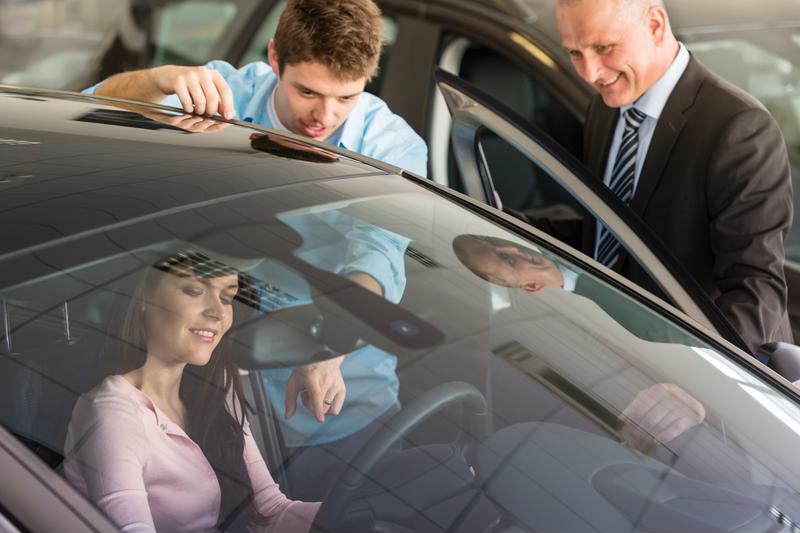 These aspects make current car owners want to sell their present vehicles and buy newer models, which makes 2016 an ideal year to invest in a used car. Visit the New Jersey State Auto Auction and book a car for yourself today. When you’re browsing through a glossy catalog of flashy cars, you start developing thoughts of buying your family a brand new car. But a voice echoes from your bank account saying that this isn’t the best move for right now. Everybody faces financial constraints, but you don’t have to stop yourself from buying a car. 2016 has seen a large influx of used cars coming into the market, and you have a wide variety you could choose from. Almost everyone would prefer a new car to a used one, but in cases where you’re unable to afford a brand new car presently, you should opt for a pre-owned vehicle. Car manufacturing companies are releasing newer models with better upgrades almost every year. This makes car owners want to upgrade their current cars and buy a new one. As these people buy new cars, they release their old ones onto the market giving you ample opportunity to choose the right one for you and your family. Another reason why 2016 is a great year to buy a pre-owned car is that most of these cars are at the end of their lease terms. 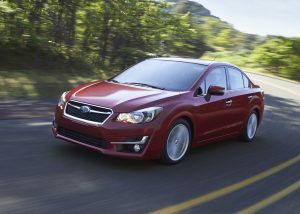 This will result in a decrease in their price tags, making even high-end sedans with modern features affordable. Cars that were purchased in early 2010s with two- or three-year leases will enter the market this year, giving an excellent opportunity for people who are looking to buy pre-owned vehicles. Visit the New Jersey State Auto Auction and explore their wide variety of used cars. Sometimes it just isn’t feasible to buy a new car. You could have pending loans, mortgage, a new baby, and other commitments which are more important right now than owning a new car. But you do need one to travel around. Using the bus or subway all the time can be tiring and frustrating, especially when you’re late to office because you missed your bus. Even though you’re not at liberty to buy a new car right now, don’t worry about it. There are tons of used cars on the market that you could choose from. 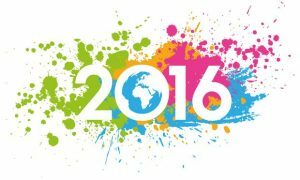 And the year of 2016 is turning out to be a great year for you to invest in a pre-owned vehicle. Sure, the idea of buying a car that was previously owned by someone else isn’t as fabulous as owning a brand new car, but with your limited options, you’ll have to settle with a used car. 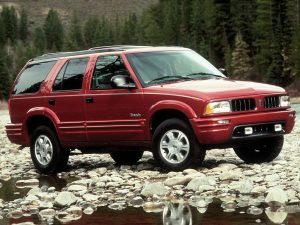 However, don’t let the idea of a pre-owned vehicle deter you. The used cars on this year’s market are almost as good as brand new cars. The reason? It’s because they’re all young vehicles. With car makers rolling out all-new updated versions, an increasing number of car owners decide to buy these new models and release their current cars onto the market. A large number of used cars on today’s market are surprisingly are three years old or even younger. People want flashier, faster, upgraded cars, so you’re in luck if you’re looking to buy a used car in 2016. Explore the wide variety of used cars available at the New Jersey State Auto Auction today.